Opportunities abound on Heron Island Resort for all visitors! 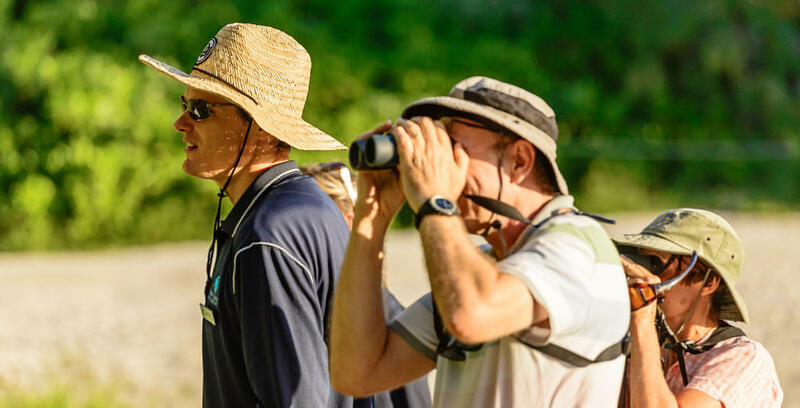 Join one of our resident Naturalist Guides to learn about the fascinating reef ecosystem, the flora and fauna of Heron Island and the Great Barrier Reef or the constellations of the night sky. The schedule of Heron Island Resort activities is subject to weather, tides and availability, so please keep this in mind when planning your Great Barrier Reef holiday. 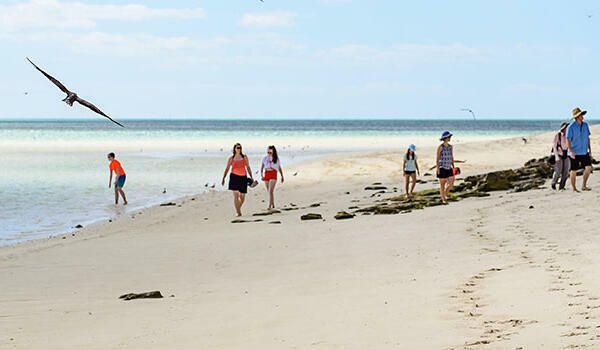 Take a walk with one of our Naturalist Guides and learn about the history, flora and fauna of Heron Island. This guided tour will take you through the Pisonia Forest towards Shark Bay and return to the resort along North Beach. Along the way we discuss the formation of Heron Island as a vegetated coral cay, learn about the environmental factors that have contributed to its formation, the plants that have colonised the island, the importance of the bird populations as well as sea turtles that visit Heron Island each year. Complimentary, booking required. Book and meet at the Information Centre. This tour is only available on certain days when the tide is particularly low and occurs during suitable daylight hours. 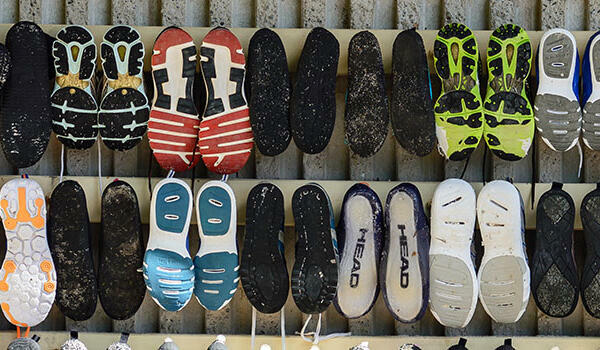 Please wear appropriate fully enclosed footwear (some is also available to borrow at the Information Centre). Please wash your hands of any sunscreens or lotions prior to this walk. Your Naturalist Guide will explain the formation of the reef and identify some of the weird and wonderful creatures that you are likely to encounter on Heron Reef. You can learn about corals and their relatives, the threats to the reef today, the symbiotic relationships between marine species, adaptations for survival during low tide, and much more. Learn all about the different bird species around Heron Island with one of our Naturalist Guides. Birds are considered in four general categories: breeding populations, visitors, migratory shorebirds and resident populations. Heron Island can be home to up to 200 000 birds at the peak of nesting season! The guided walk begins at the Information Centre, walks around the rocky shores that edge some parts of the resort, past the Gantry, and heads out towards the jetty where numerous birds can often be seen on the beaches and around the shipwreck. The best time for bird watching is usually early morning or late afternoon. Species of birds may differ between seasons, times of day and are often tide dependent. 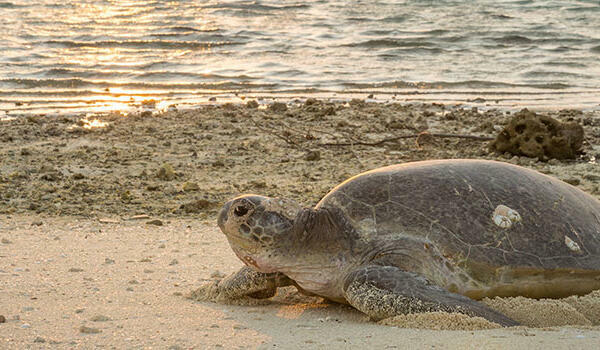 Take an early morning or late evening stroll around the beaches with an experienced Naturalist Guide to watch nesting sea turtles. Your guide can provide information about the best practice guidelines for observing turtles, the stage of nesting the turtle is completing, as well as general information about the biology of sea turtles. Sea turtles usually nest around the high tide of a night time. Please remember- don’t use torches or flash photography on the beach. 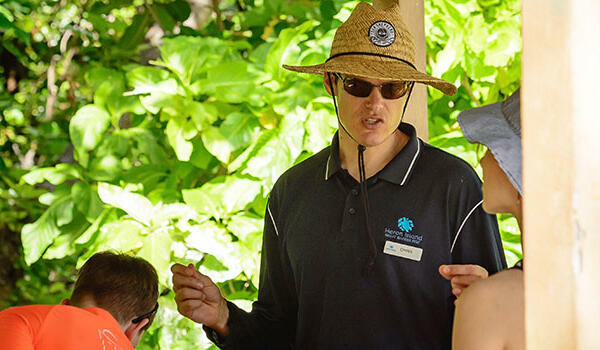 Join one of our experienced Naturalist Guides at a presentation where they share their knowledge on a variety of topics such as the biology and ecology of sea turtles, shark physiology and formation of the reef.  This presentation provides a quick snapshot into the process of sea turtle nesting on Heron Island. Your Naturalist Guide will explain how to observe sea turtles whilst having minimal disturbance to these beautiful marine reptiles. Simple things like staying low and still on a nesting beach at night time, not using artificial lights around nesting beaches, and remaining 10 m away and behind the line of sight of the sea turtle, can make a big difference to these nesting mothers. Enjoy a tour of the night sky with Heron’s naturalist guides. Subject to weather conditions and cloud cover so please check the Information Centre board for confirmation prior to making your way to the Helipad. Our Naturalist Guide will set up the telescope on the Helipad so you can enjoy close up views of the many seas of the Moon and sometimes even spot the rings around Saturn!